The mission of Countryside Christian Community is to provide for the emotional, physical, spiritual and social needs of our residents in Christ centered environment. Countryside Christian Community originally opened its doors as the United Christian Church Home in 1959. Over the years, our faith-based retirement community in Annville, PA has continued its commitment to provide the best quality of senior care in a vibrant and nurturing environment. We take pride in our Christian heritage to provide our residents, families and employees with a great place to live and work. Countryside Christian Community offers wide-ranging senior health services along with flexible housing options. We seek residents, employees, volunteers and donors that embrace the concept of service to others as a way of living out the example of Christ. Here are some reasons why more people turn to us care for their loved ones. We are a not-for-profit ministry of the United Christian Church in Lebanon County, PA. Countryside Christian Community accepts residents of all faiths. Our approach is holistic, seeking to nurture all dimensions of life. Life doesn’t end with retirement. We believe it’s simply another chapter to be enjoyed. We also understand it can be a difficult decision to place the care of your loved one in a retirement community. Our goal is to help each resident live out their retirement years in complete comfort and happiness. Visit our retirement community in Annville, PA to learn more about our facilities and services. Countryside Christian was created with traditional values in mind. It’s old world charm offers country living with a sense of days gone by. We offer an intimate setting which makes it easy for our residents to foster relationships. It’s a place where everybody knows your name. 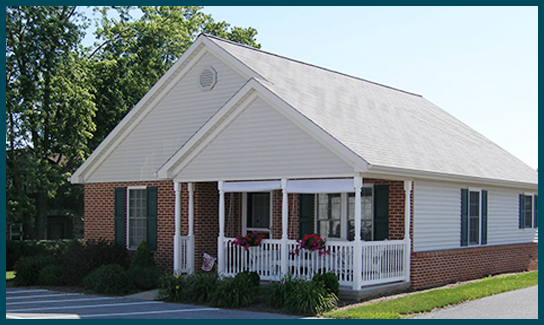 Our retirement community provides senior independent living options complete with cottages. We provide the highest quality of personal care, including assistance with basic Activities of Daily Living. Our caring staff provides help with ADLs and the management of medication and meals.